How far up the tree will your box go? It's the sort of thing I've vaguely thought about, but never taken the time to really look into: are my projects going to hold up in the garden? Let's face it, the average Brit days and nights of weather are formidable beasts, and anything you put outside is going to have to survive a significant meteorological battering. Glue will fail to hold fast, finishes will succumb to the damp, and ill-executed wall fittings will hit the deck at the hint of a light breeze. We once more took advice from Dave Mackenzie's marvellous book Bird Boxes and Feeders for the Garden, and took our own look at what you'll need to know, and how you'll need to approach putting up your new projects in the garden! 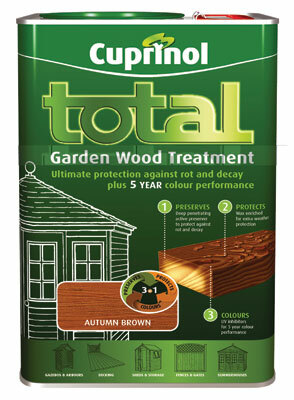 If your wood is going to hold up to the weather it will need to be finished with a durable material. However, if you want birds to take your houses seriously and actually nest in them, you're aiming for as natural a finish as possible. Creosote, for instance, won't work: the smell will put the little critters off. Likewise, if the housing doesn't look too natural, your average starling isn't even going to consider putting down a mortgage deposit. The best approach, then, is a clear wood preserver. This will leave the construction tough and well protected, but won't affect the potential denizens. There are various colour stains available, too, so you'll still be able to achieve an aesthetically pleasing effect without compromising the practicality of the piece. 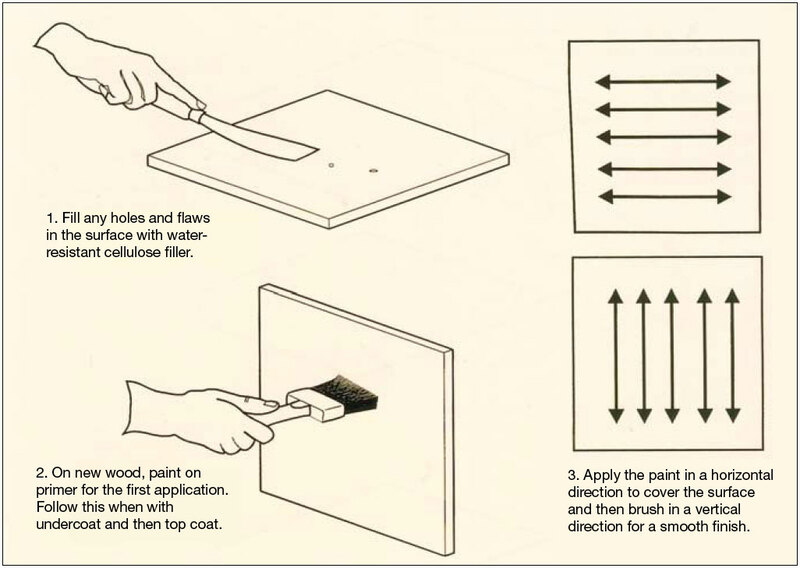 You should be applying the preserver evenly with a cloth or brush, but to get the best results, high quality paint brushes will do the best job: those with natural bristles will last you the longest and save you money in the long run. Your regular wood glue won't weather too well, and as many of the projects really quite heavily on the sticky stuff to keep everything sturdy enough for our winged chums to bed down, there'll be a miffed sparrow or two out there when their homes crumble around them. 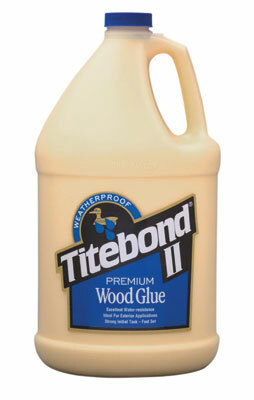 To make sure that doesn't happen, it's worth investing in some heavy duty glue designed to take all that the weather can give. The likes of Titebond, for example (with a telltale duck on the front) will hold fast even in disgustingly drenching conditions - apply it liberally and make sure everything has set firm before you venture outside! 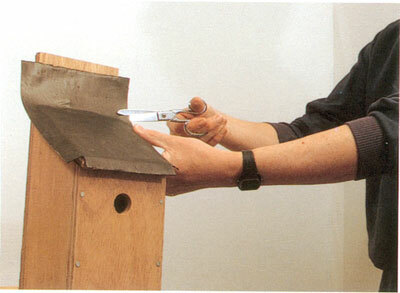 In much the same way that a cat flap fortunately isn't going to let the local labradour into your house without a very awkward squeeze, you can gauge which birds will be nesting in your boxes by the size of hole you drill for an entrance. 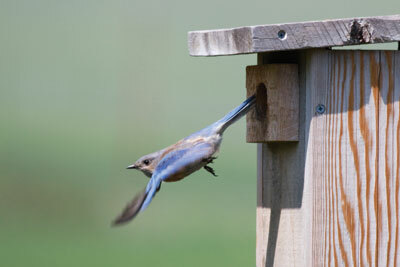 This may seem somewhat obvious, but if you're an avid bird watcher and are after larger species, make sure they can actually fit into their new home. Bear in mind, though, that if you're leaving a lot of room for easy access, you'll need to make sure you're keeping the box clear of any crafty predators. If you're after attracting much bigger species, Dave Mackenzie's book has excellent examples of housings for the likes of kestrels, along with other specialty boxes. 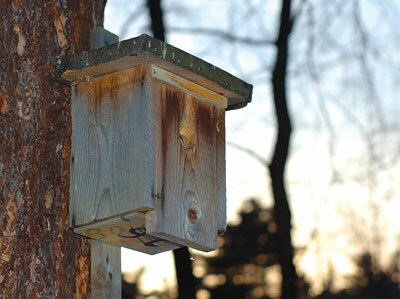 For maximum attraction, place your birdboxes with the entrance facing east, set somewhere out of the way of prevailing winds, and close to some natural cover (ivy or the like would be perfect). The more a family will feel safe from the elements while staying out of sight of potential predators the better. Roofing felt is a general purpose, low-cost covering is sold in several different grades (thicknesses) and finishes. If we were going to be tackling huge projects, you might well have decided to use several layers, but for small bird boxes you don't need more than one layer of the felt to protect your project. Cut a piece of felt large enough to cover the roof, allowing some to spare. 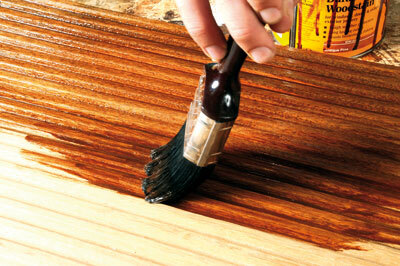 Choose one straight edge on the felt and fix it to one edge of the roof with clout nails. Pull the rest of the felt tightly over the roof and nail down the remaining edges. To finish, trim the edges with a craft knife. Which nails you use to fix nest boxes to trees depends on whether the trees will have any value as timber when they are eventually felled. 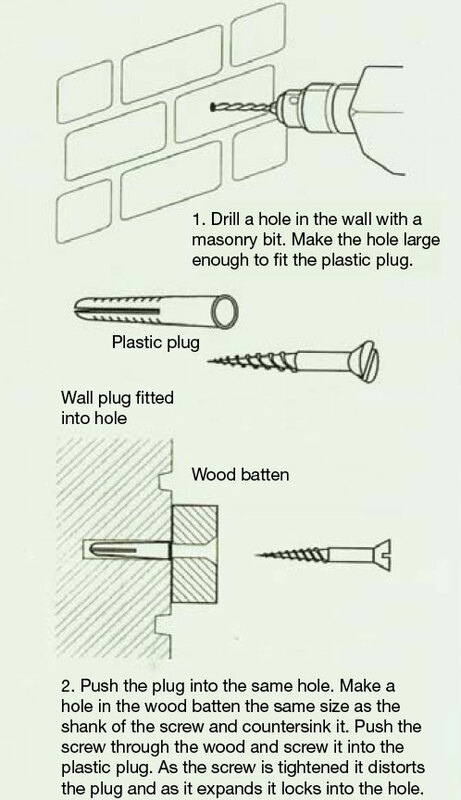 Steel nails or screws, if left in place, will damage the machines that are used to convert the timber to planks. If the trees have no value as timber then these are fine because the tree will not be sawn up when it is felled. The alternatives for trees that will not be sawn are copper or aluminium nails, which will not damage a saw blade as much, and will not rust. 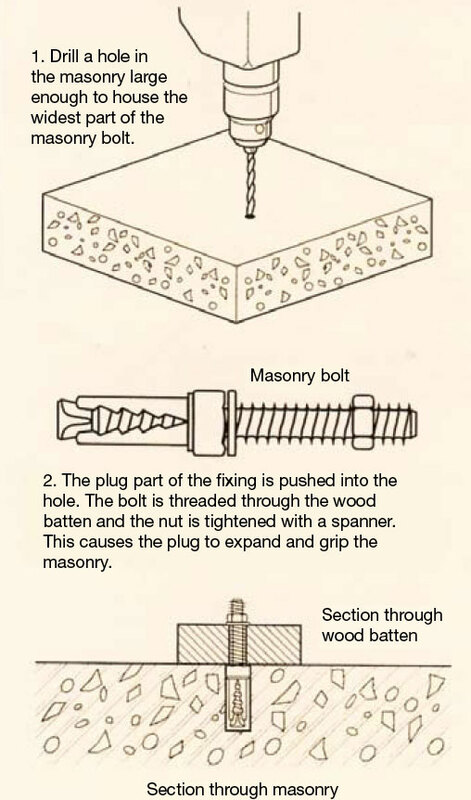 Fitting heavier boxes to a wall might benefit from the addition of a masonry bolt. Plastic wall plugs will do the job when it comes to the lighter projects, so it's best to gauge how heavy-duty you'll need to go before you commit yourself to making more of a fuss than you'll need to. "The best approach is a clear wood preserver"